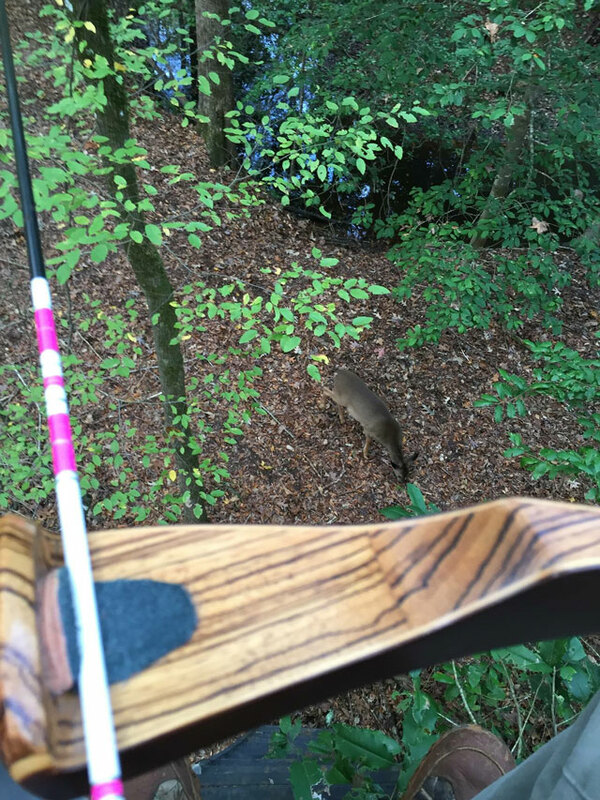 Upload your favorite pictures of camp life, your bow, or your latest animal hunted. Click on an image to enlarge it. *These photos are for our website ONLY. We don’t automatically submit them for the print magazine. For instructions to submit to the print magazine see the article Traditional Harvest Photos. 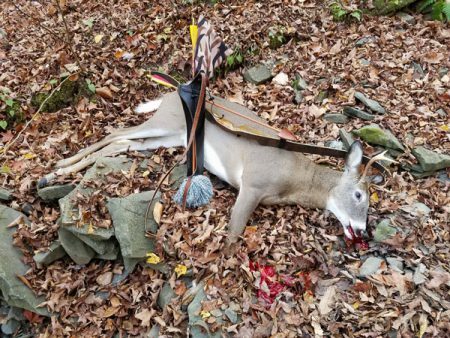 Opening day in PA. After 45 years of bowhunting I’m still lovin’ it. Great Northern Ghost bow and Bear Razorhead. 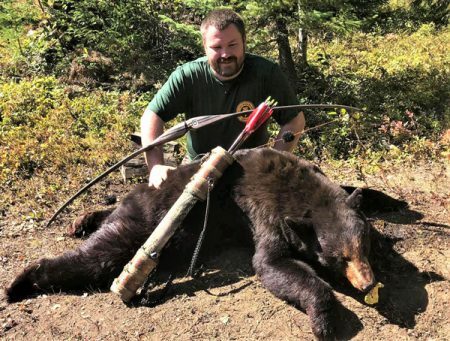 One Arrow Mike from Washington state, using a woodsman 125g broadhead, douglas fir shaft and reflex deflex longbow. 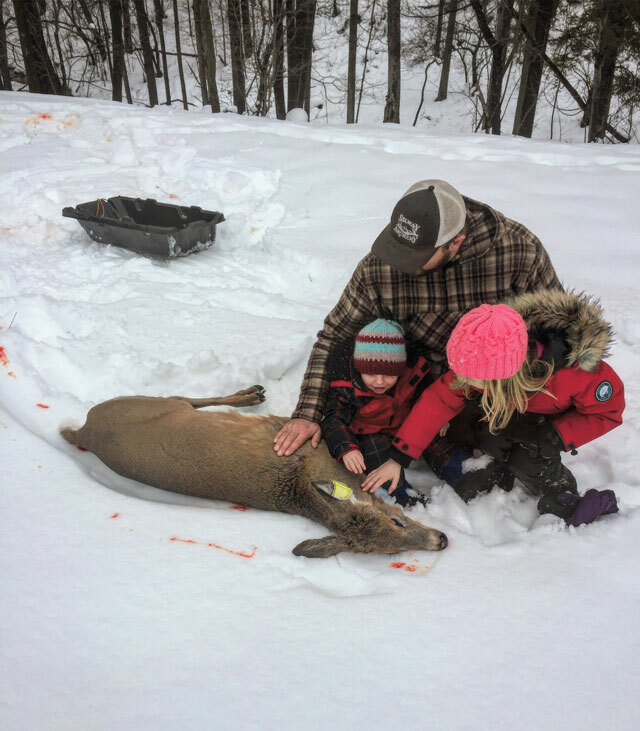 My wife sent me on an 8 day whitetail deer hunt to South Dakota because I sacrificed my blacktail deer and elk hunt to build our home. 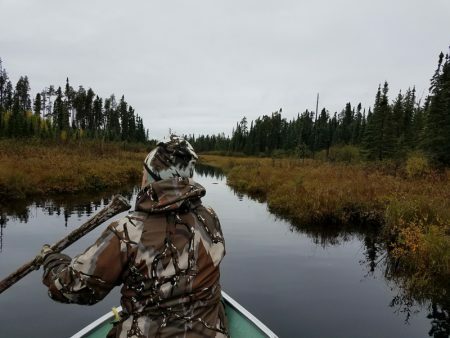 Tracey paddling up a creek looking for Moose in Ontario. On my way to a favorite public land spot. Watching a young doe, just a few weeks out of spots. I believe this was late October of the 2015-2016 season. 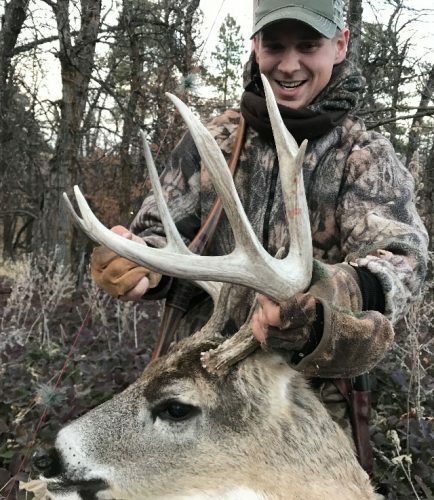 Got distracted on a recent Wyoming mule deer hunt! 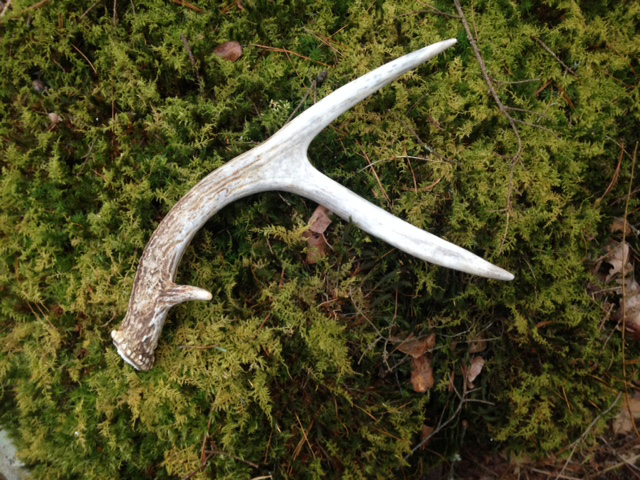 A shed I found and placed on a convenient mossy stump. This is an aerial view of Mount Minsi, the Pennsylvania side of the Delaware Water Gap geologic formation, just south of Delaware Water Gap, PA. 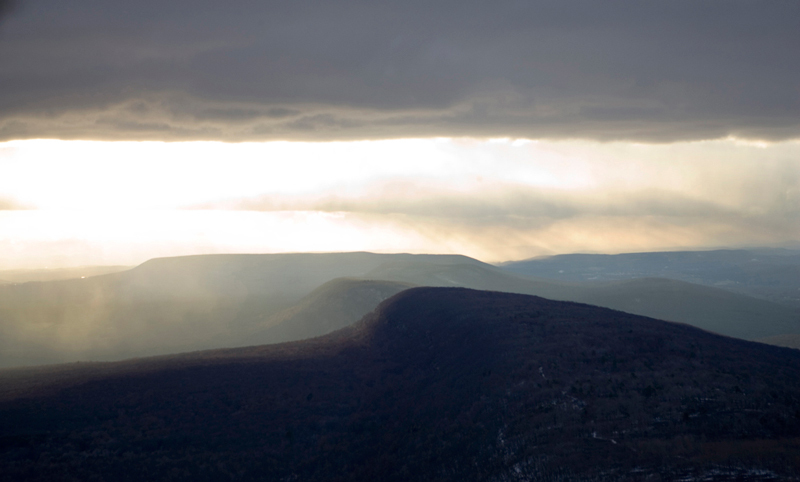 I took this a while ago, but I just love that view looking down the old mountain range that defines the Poconos. 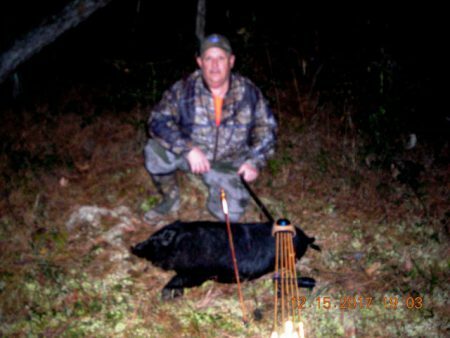 45 pound Black Widow shooting a 525 grain arrow tipped with a Grizzly single bevel. 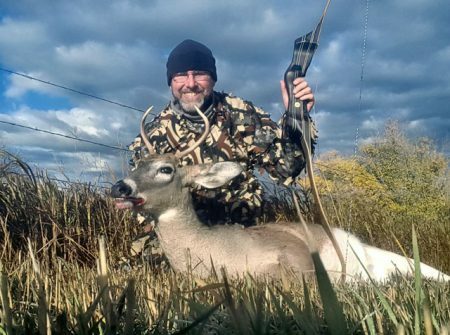 Wonderful afternoon and beautiful Iowa whitetail! 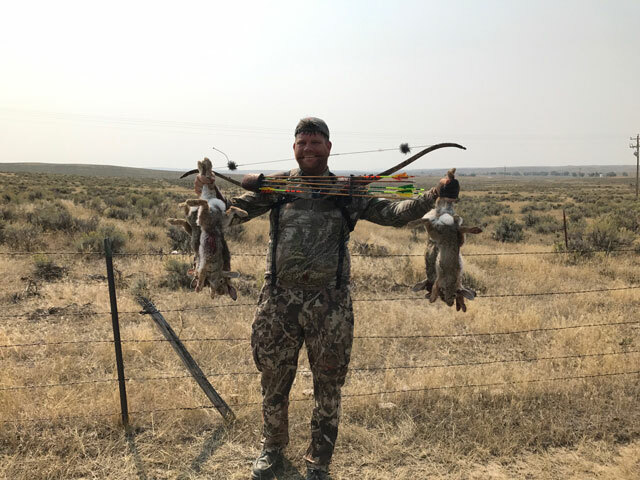 20yds, shot from the ground. 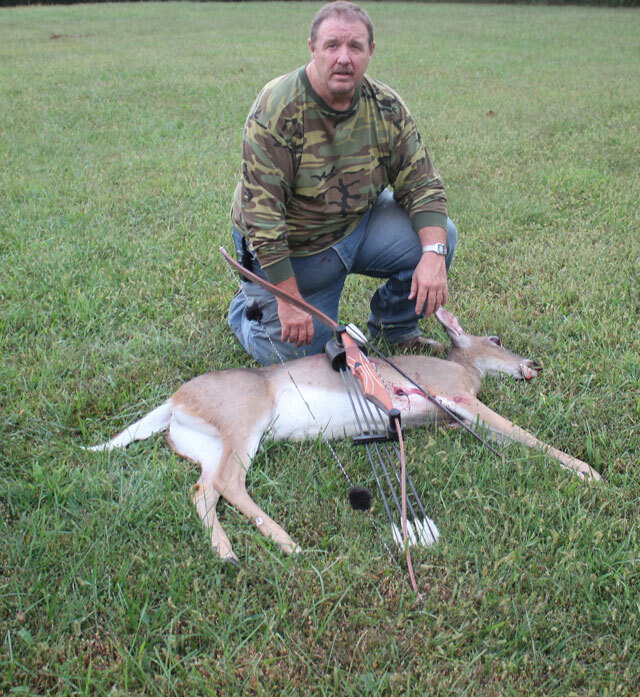 Jeffery Classic, Cabela’s cedar traditional arrows, Wensel Woodsman broadhead. 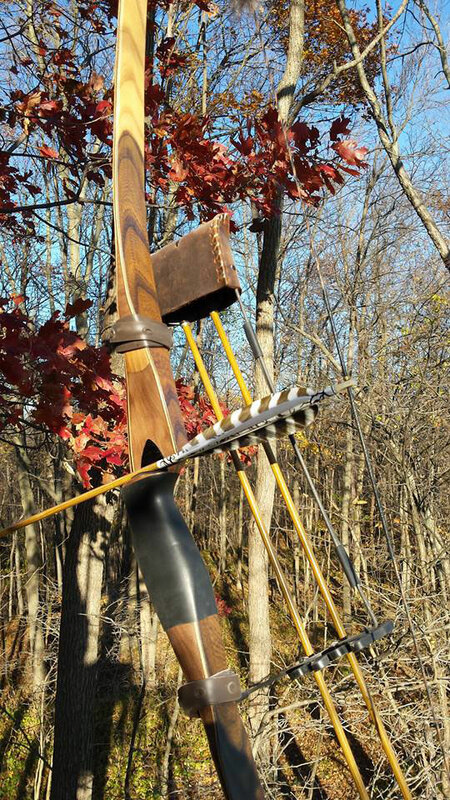 Java Man Helms Deep recurve 51@28″; Gold Tip arrow with 175 gr. Simmons Tiger Shark broadhead. Charlie Pearsall, from Port Crane, NY. 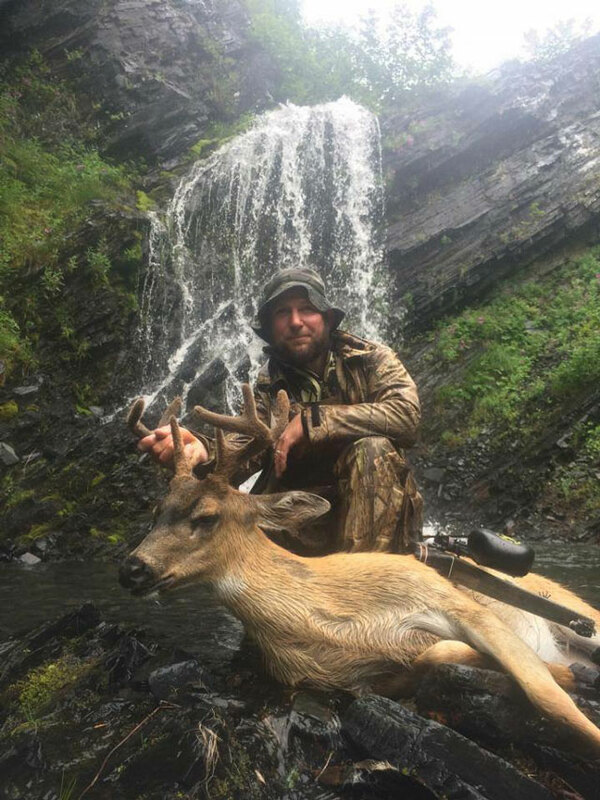 2017 whitetail. Red Wing Hunter bow, Mowoc Dot broadhead and Douglas fir shaft. 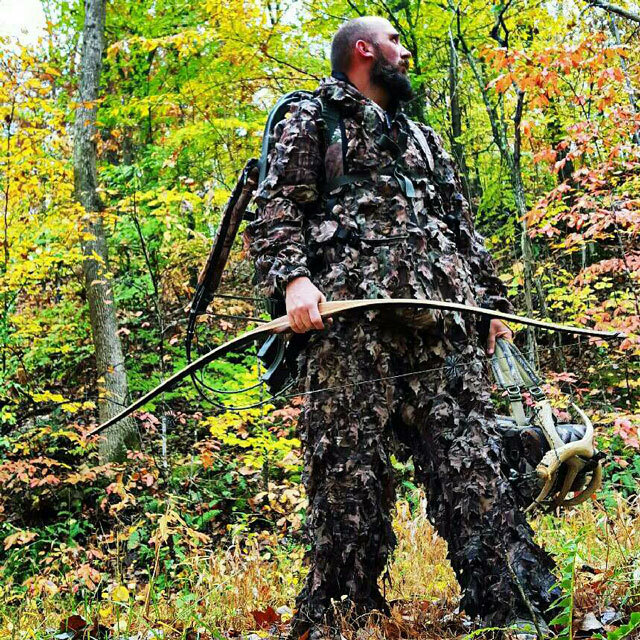 Dreaming of bow season. This is a tree stand picture from 2016. Ready for deer season 2017. Just two weeks away! Zachary Larsen, from Globe, Arizona. 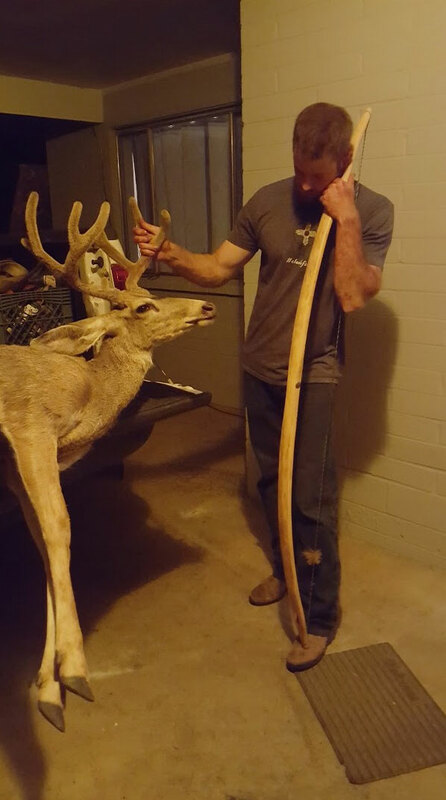 Spot and stalk September desert mule deer with a 68″ 60@29 homemade shaggy bark juniper selfbow, surewood shafts and grizzly broadheads. 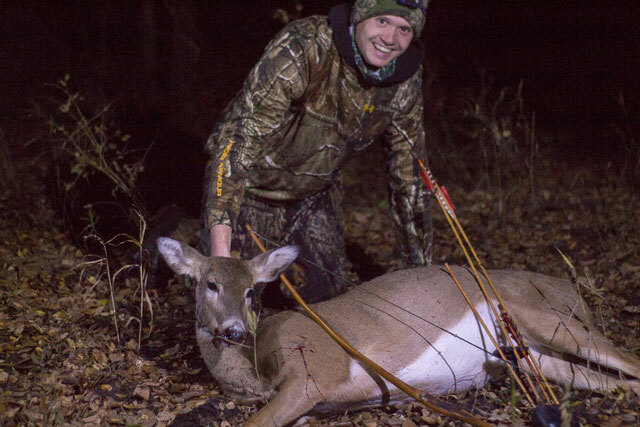 I shot this doe on public land with an Osage orange bow that I made myself. 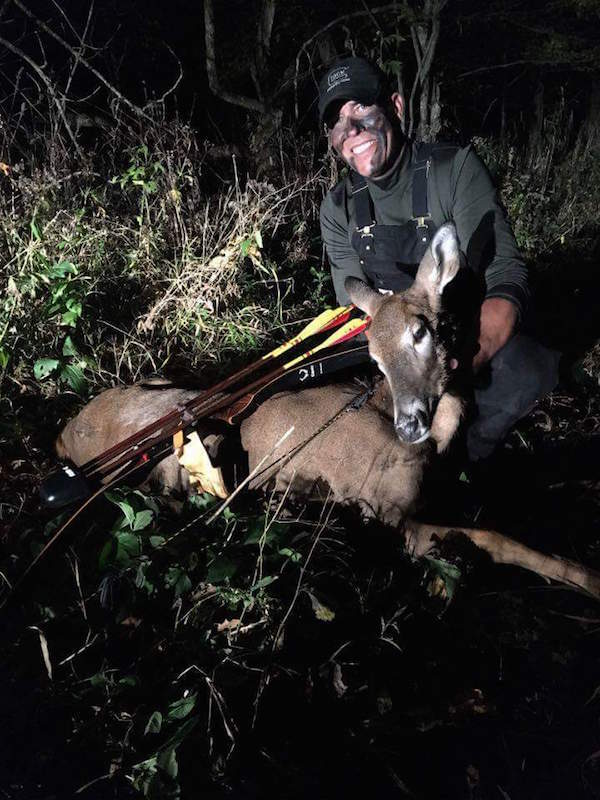 This was a wonderful hunt that I got to enjoy with my wife, who also filmed the hunt! 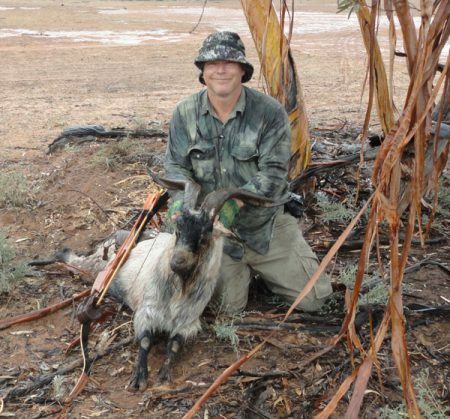 It is a special deer and truly a trophy because this area seems to be heavily over hunted on public land. I will have this memory forever!!! 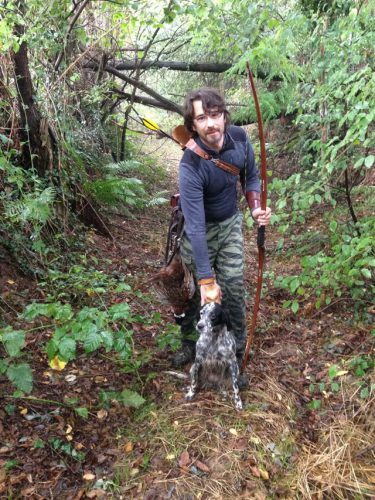 Alessandro and his dog Nike bowhunting pheasant public land in Italy. Howard Hill 60 lb. 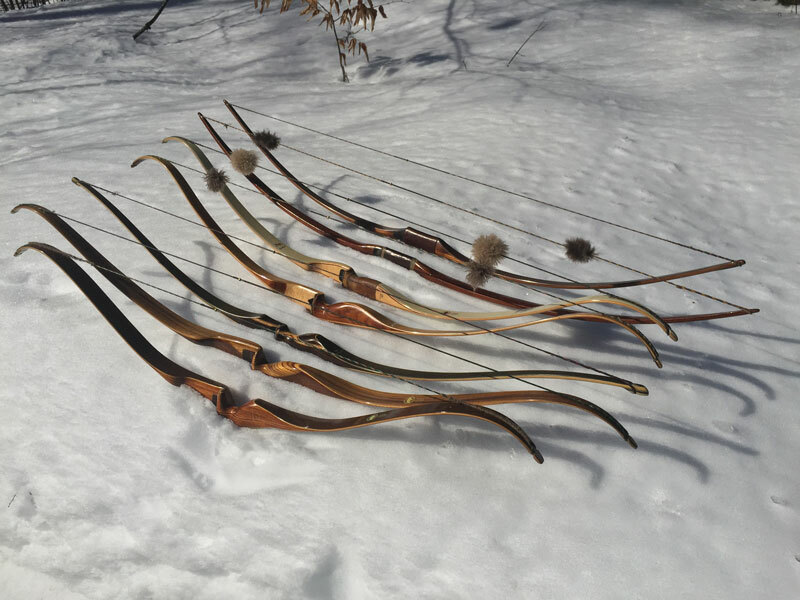 bow and 720gr. cedar arrow. 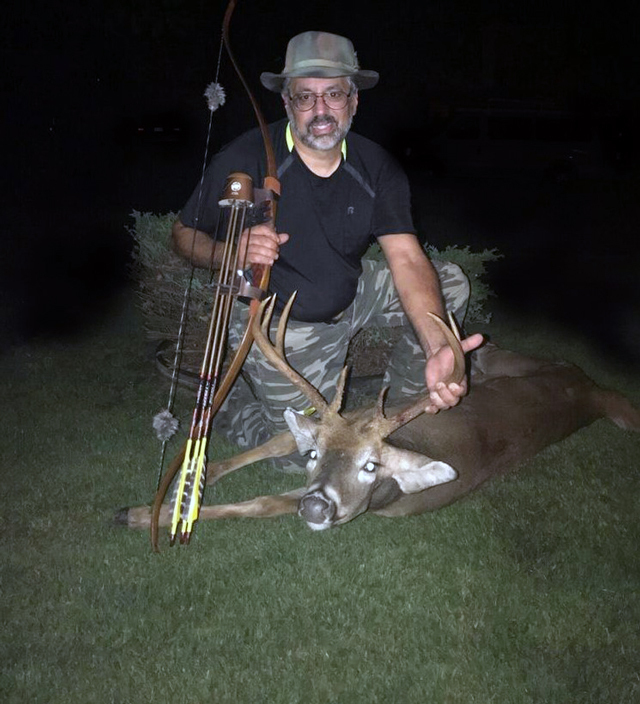 My most memorable hunt. Saying “thank you” with my kids. Piebald deer a few miles from home. 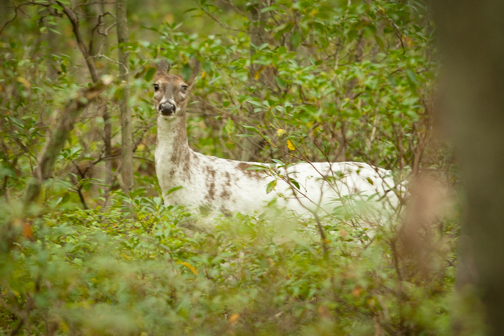 This was one of four piebald deer that were together. 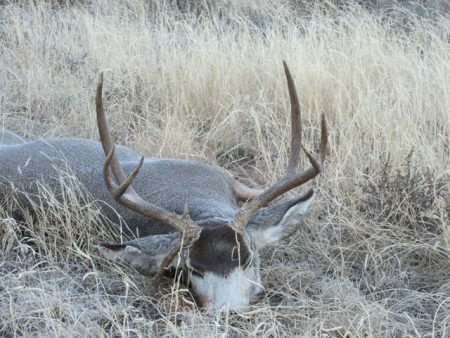 One of my Texas mulies. Complete this form to submit a photo to share with our readers.